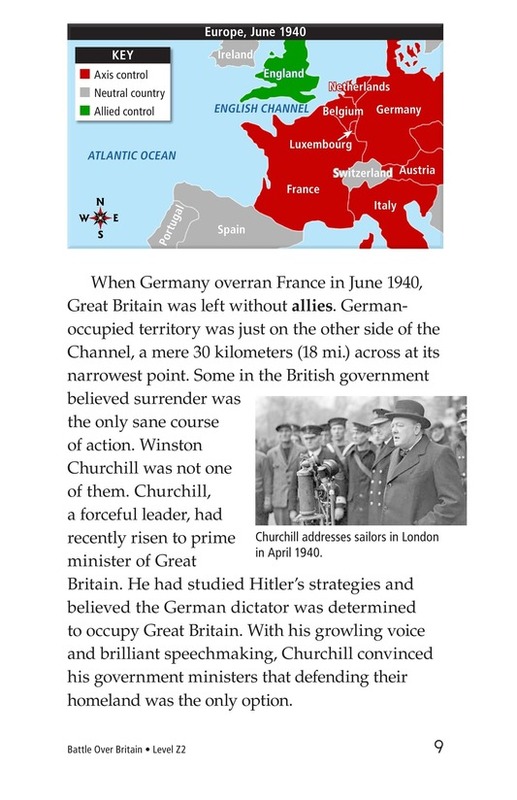 In 1940, Adolph Hitler led Nazi Germany in an attempt to overtake Great Britain as part of their plan to conquer Europe. 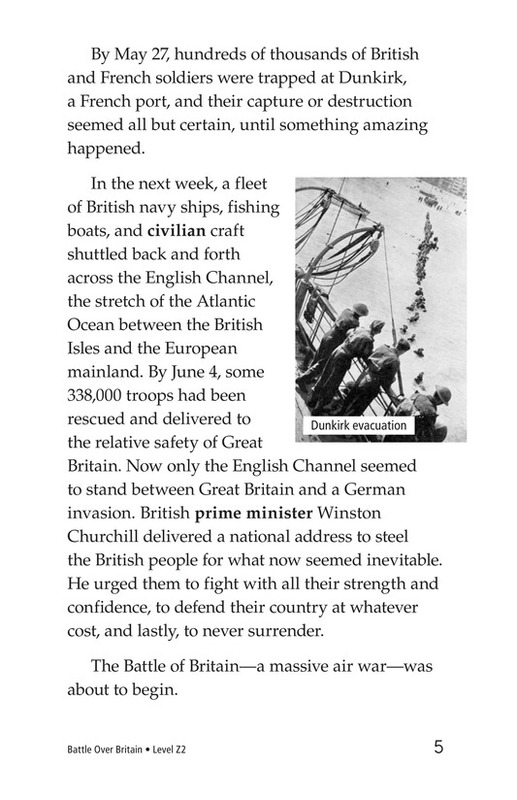 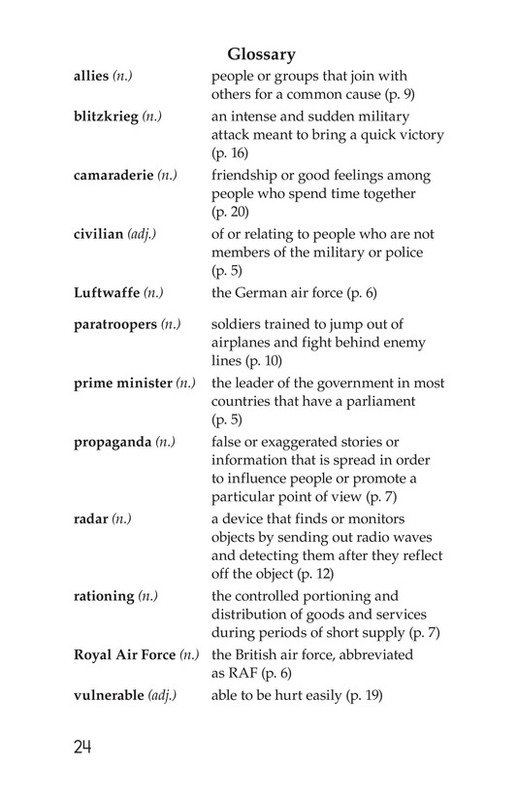 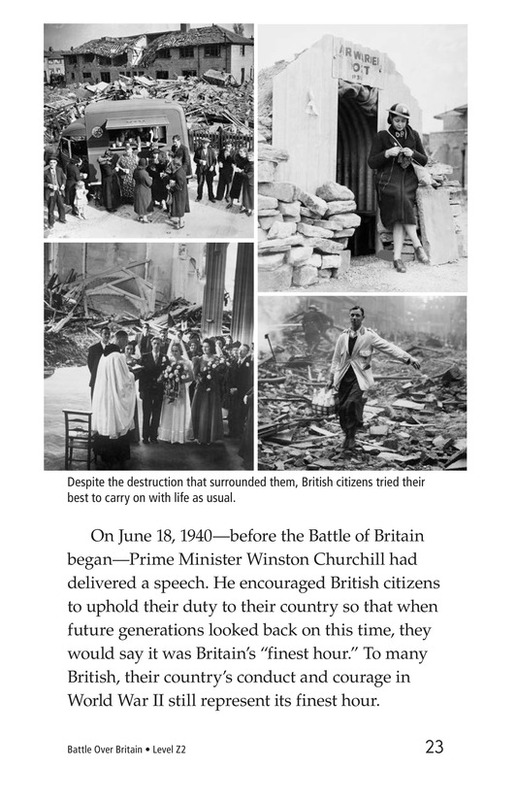 Despite the fall of their allies, the British people would not surrender. 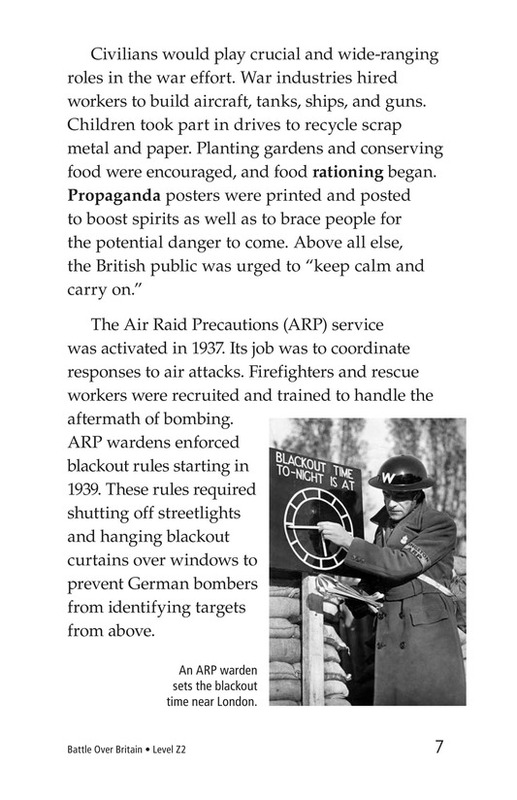 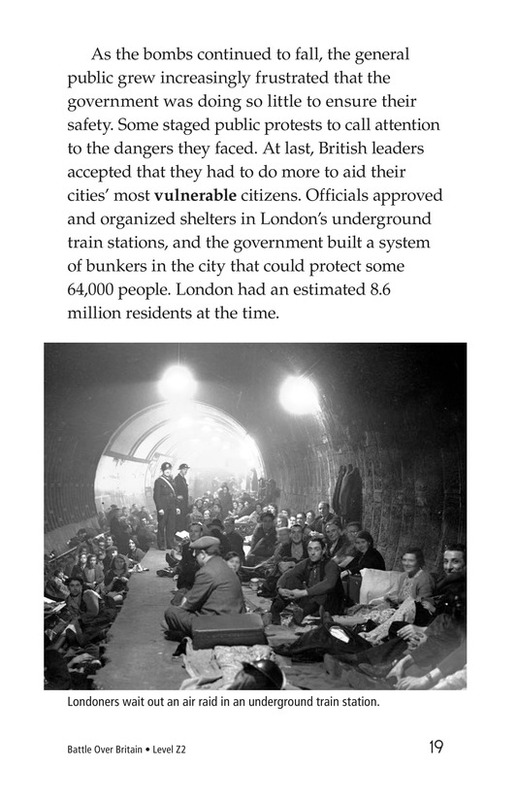 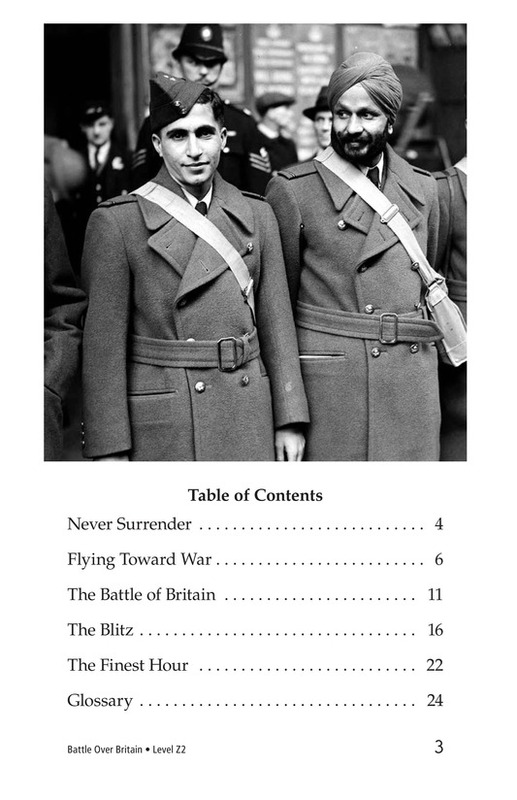 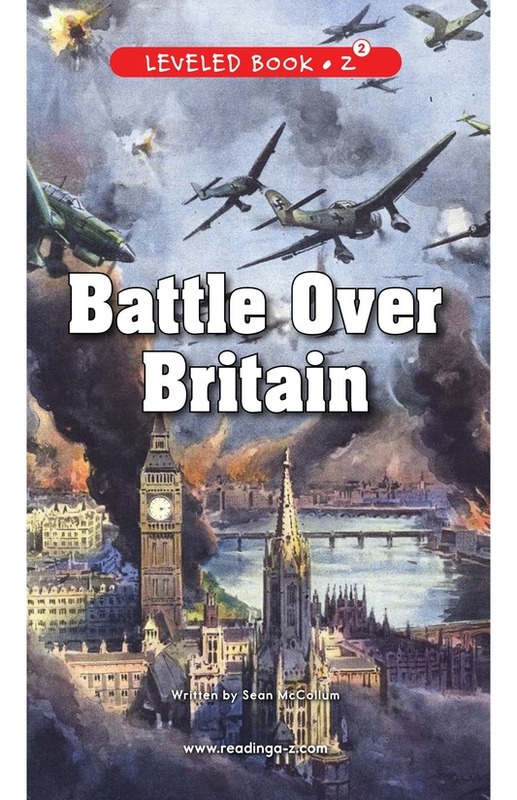 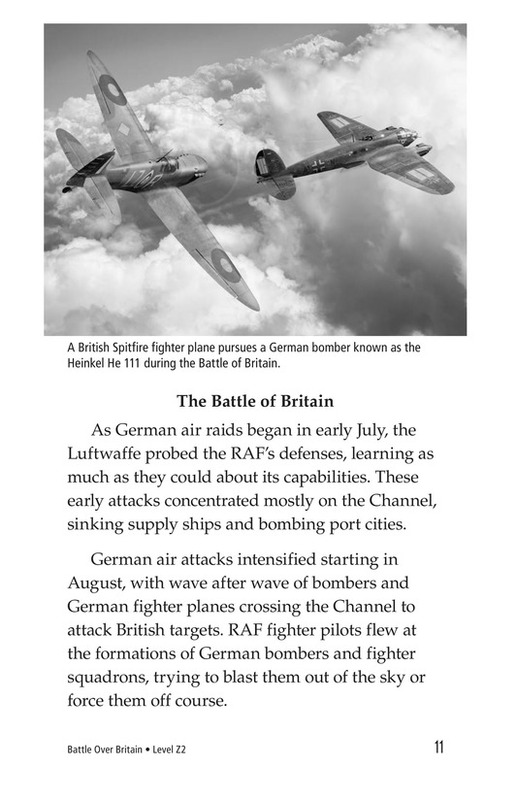 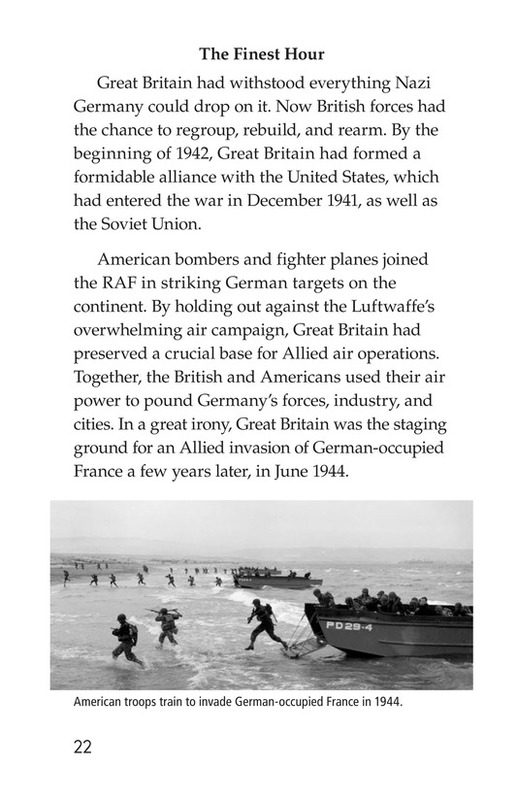 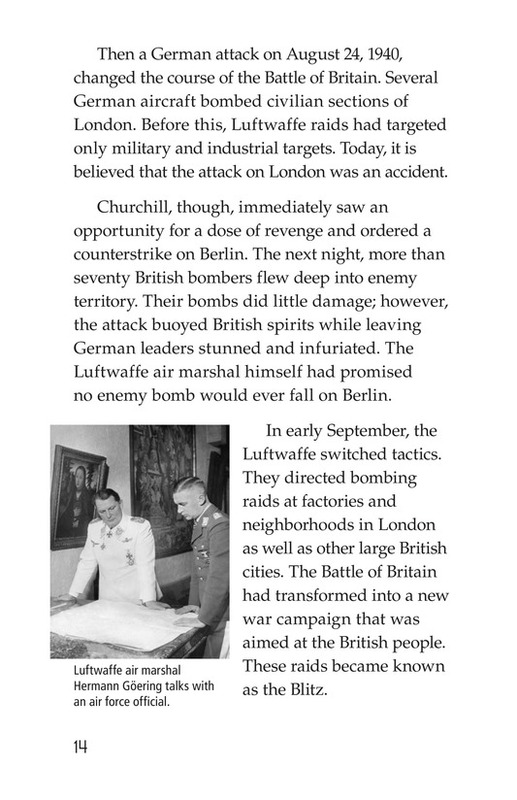 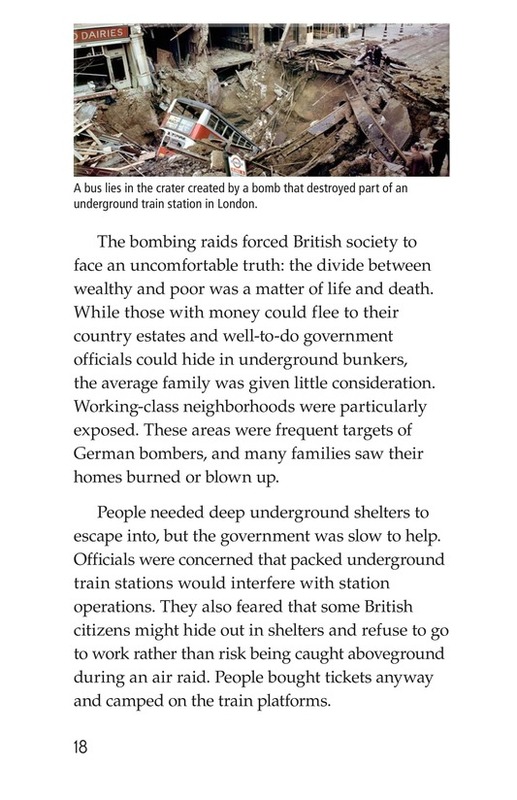 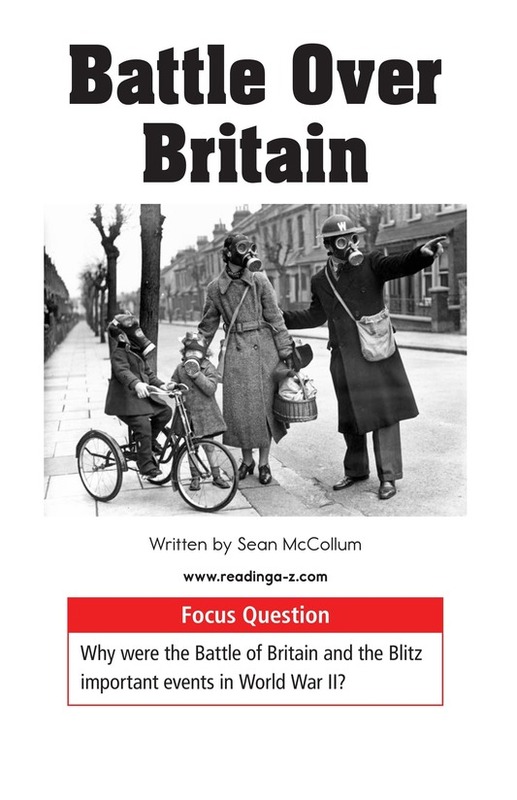 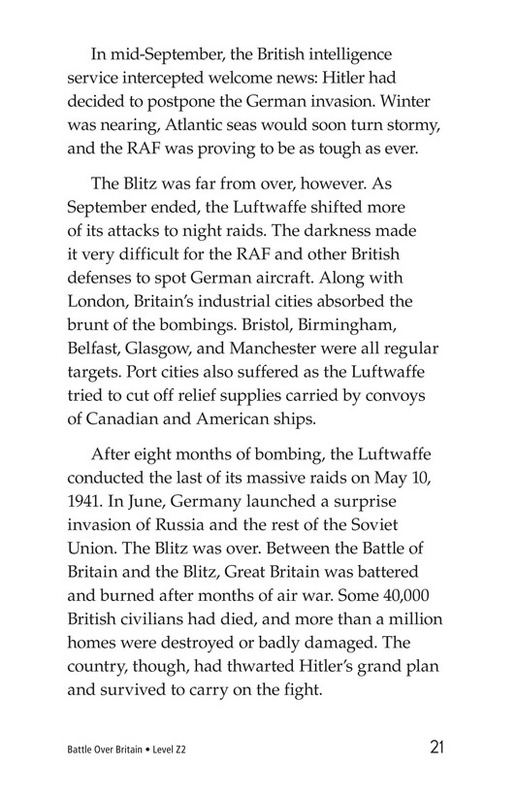 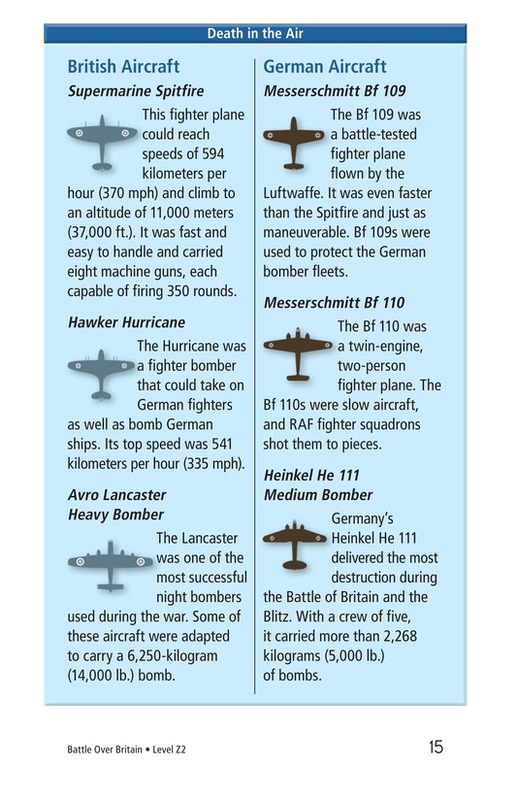 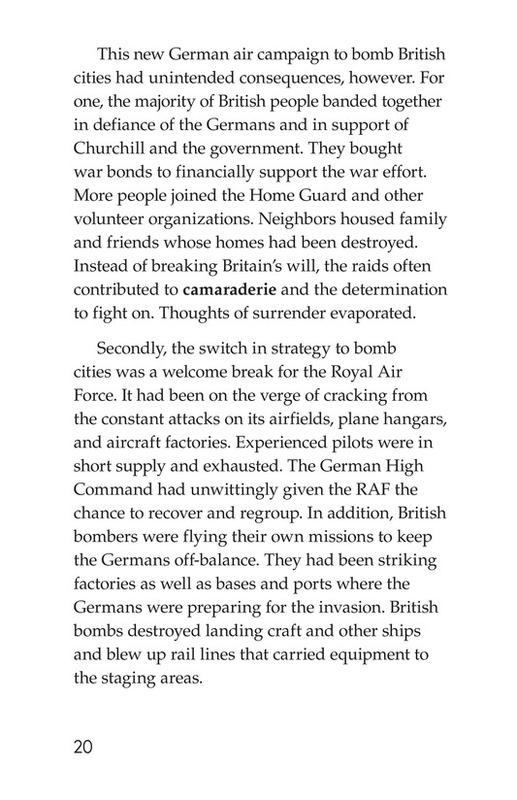 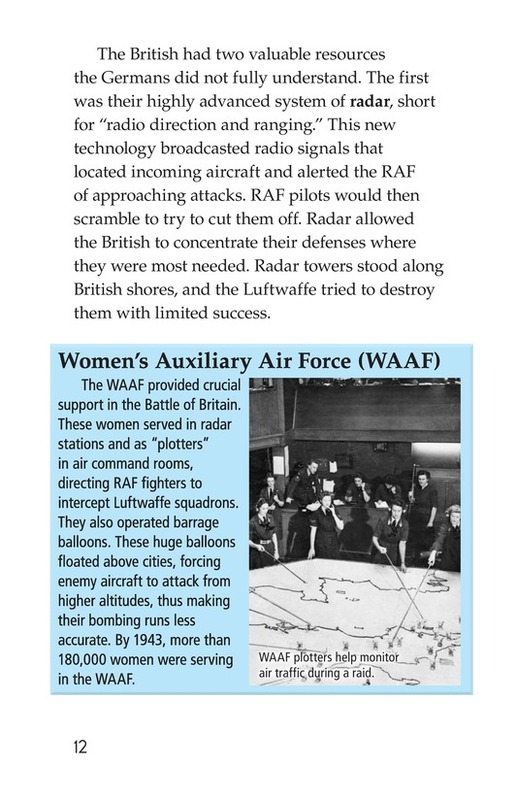 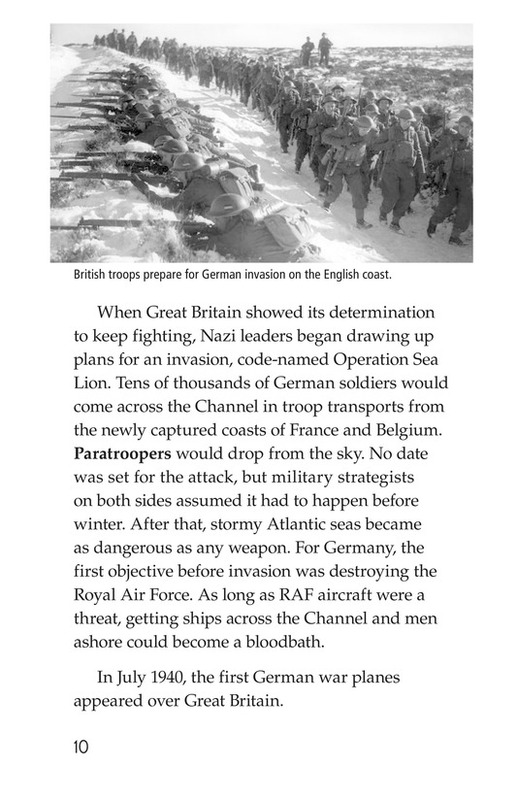 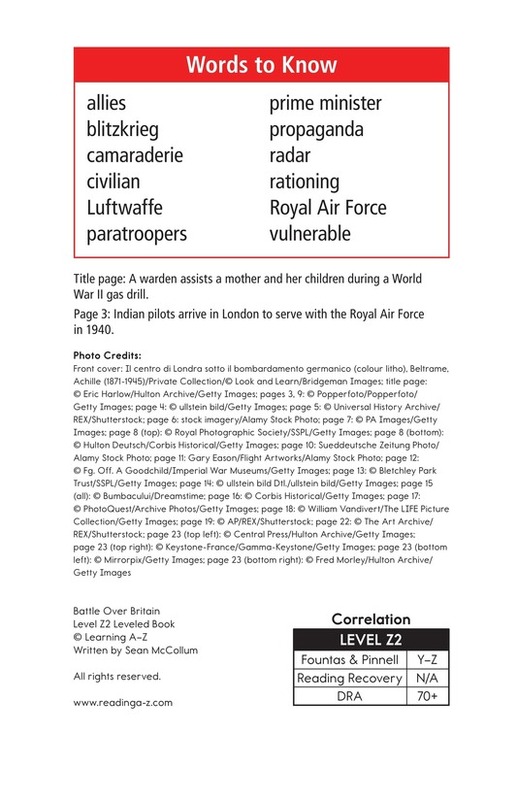 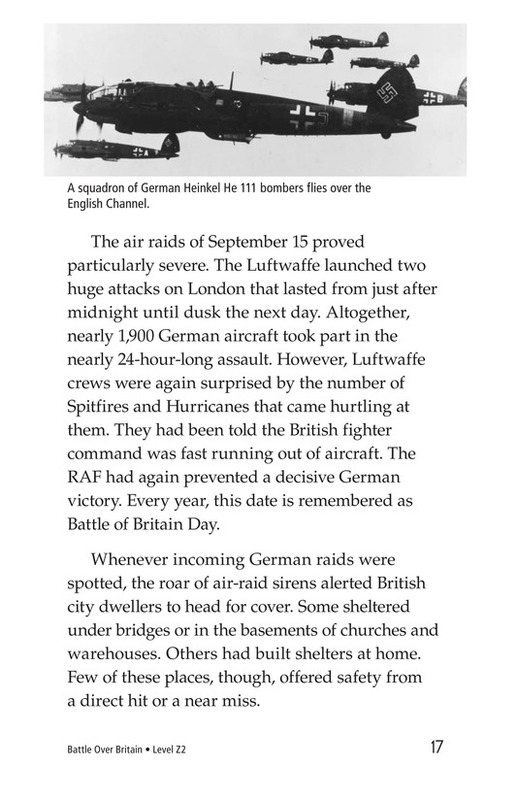 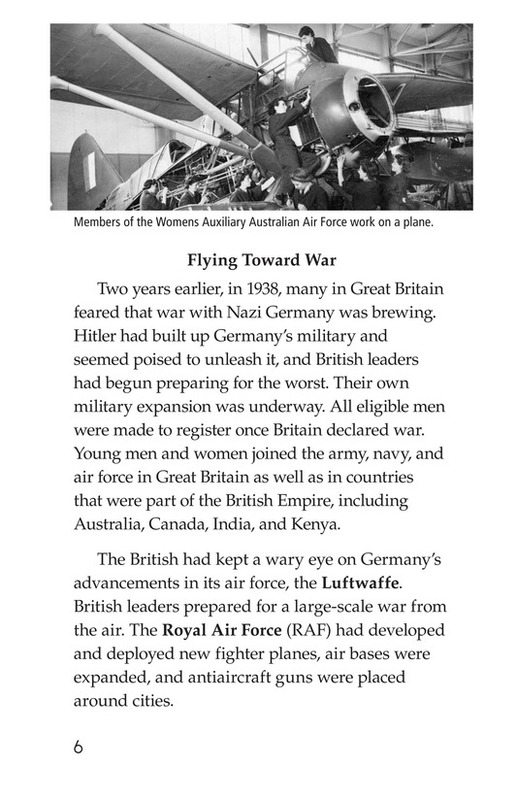 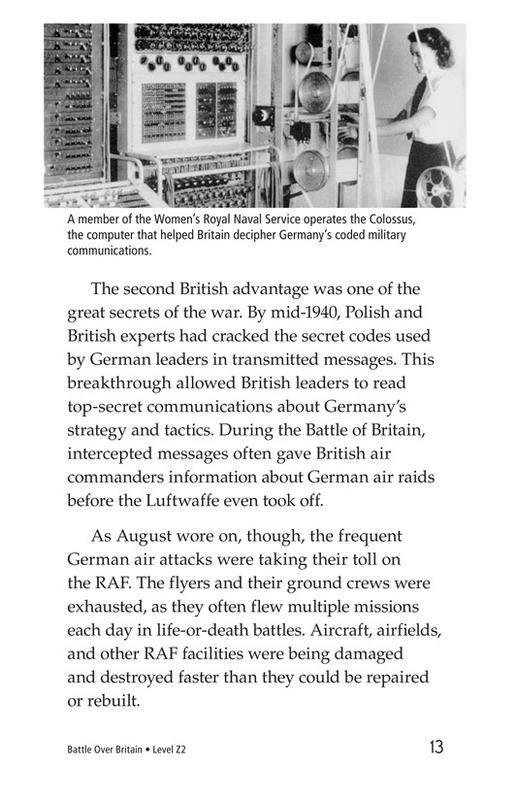 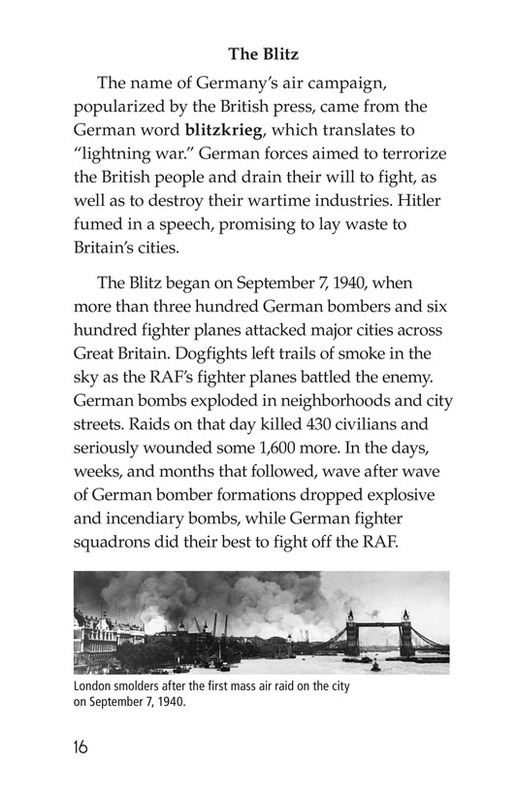 Battle Over Britain describes the events of the Battle of Britain and the Blitz, two military campaigns in which the Germans and the British fought in an air war above Great Britain. 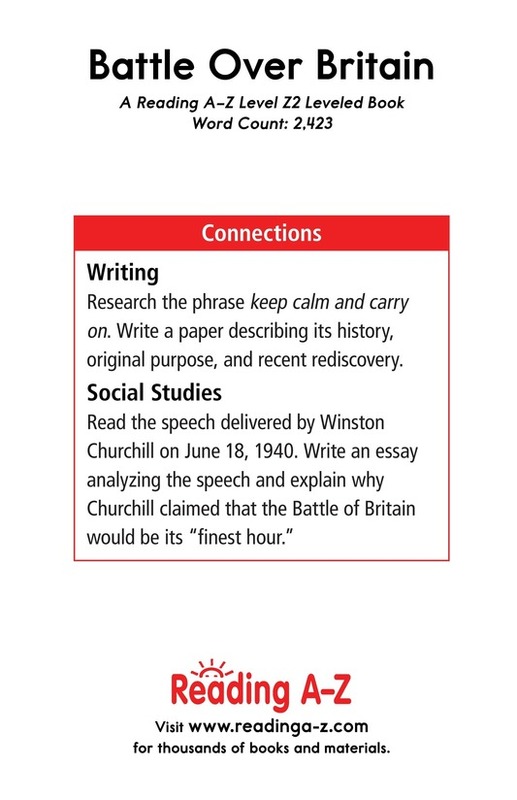 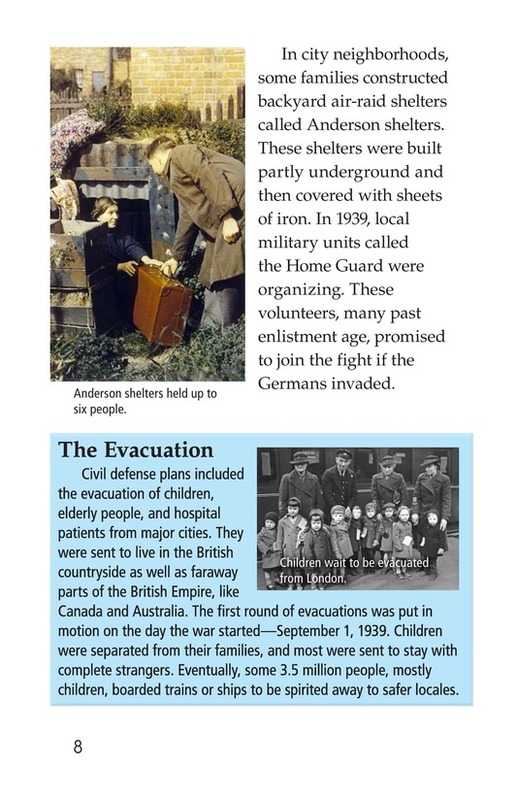 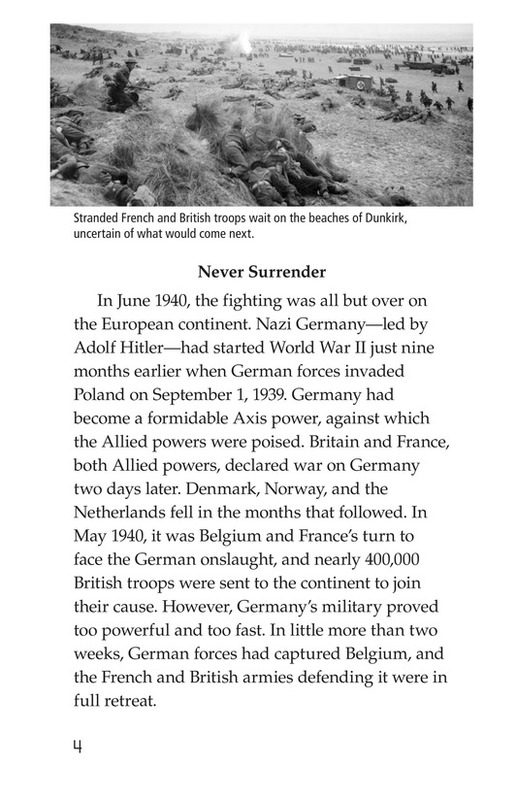 This riveting historical account will pique students' interest while also giving them the opportunity to retell as well as identify cause-and-effect relationships in a nonfiction text.